(Photo: © Peter Kenny)Women pray at their section of the Western Wall in Jerusalem on Feb. 11, 2016. An Israeli government decision to shelve a plan that would have allowed women to pray with men at the iconic Western Wall in Jerusalem has triggered acrimony from Jewish groups in Israel and the United States. The Jewish Agency, a prominent group of Jewish leaders, cancelled a gala event with Israeli Prime Minister Benjamin Netanyahu to protest his government's decision to scrap its plans for a mixed-gender prayer area the Western Wall, The Associated Press reports. The heads of the Reform Jewish movement in the United States and in Israel also called off a planned meeting with Netanyahu, underlining the degree of anger the move has evoked in Israel and abroad, The Financial Times reported. The board of governors of The Jewish Agency, a nonprofit that works closely with the Israeli government to serve Jewish communities worldwide, said June 26 it was calling off its dinner with Netanyahu. It also altered the agenda of some of its meetings to address what is seen as a crisis that has set off widespread criticism. The Israeli government is also drawing bitter flak from some American Jewish groups for scrapping the compromise agreement that would have created an area for women and men to pray together along the Wall, USA Today reported. 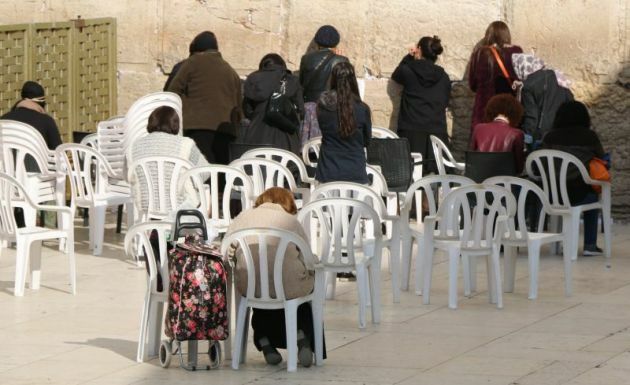 The Wall is one of Judaism's most holy sites, but prayers have historically been segregated with a small area of the Wall is reserved for women. Conservative and Reform Jews have been at loggerheads over the issue for decades and a deal forged more than a year ago to ease the rules along the Wall, or Kotel as it is known, has been repetitively stalled by Orthodox leaders. The New York-based American Jewish Committee said it is "deeply disappointed" in the government's decision and its CEO, David Harris, lashed out at Orthodox leaders who have held a grip on Wall operations. The move reflects an unprecedented gulf that has erupted between Israel and the Jewish diaspora over how Judaism can be practiced in Israel said USA Today. "Netanyahu has a constituency of one, and that's Netanyahu," said Susan Silverman, a rabbi and member of the board of Women of the Wall, a group that was pushing for mixed-gender prayer, according to the Financial Times. "What he wants to do is stay in power, and he will do any disgusting thing to stay in power." Yair Sheleg head of the religion-State program at the Israel Democracy Institute said, "The ultra-Orthodox parties are considered to be the most stable part of the coalition, and if you satisfy their religious demands, they are with you."